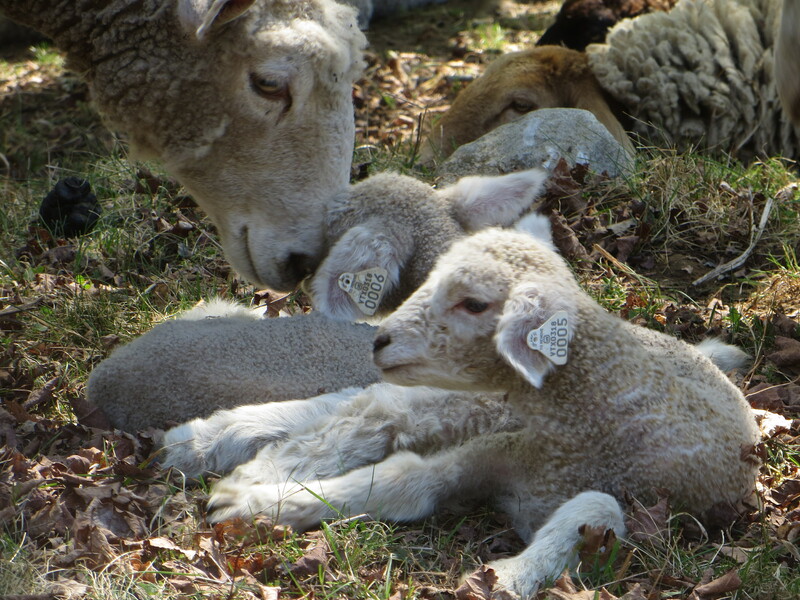 This is a wonderful time of year to write about – piglets, lambs, greening grass, and budding trees. We have been thinking a lot about sheep. In the fall we bred three ewes and two of them lambed. Myrtle gave us two big lambs a couple weeks ago and Spruce this week gave us two ewe lambs. Nettle, our dominate ewe, must not have liked the look of the young ram that we used to breed and looks like she will miss motherhood this time around. This fall we will breed at least five ewes, Grace and Gretel – black Romney sweethearts born a year ago will join those mentioned above. We are planning on buying 8-10 feeder lambs this spring for fall butcher dates and have reserved a registered black Romney named Harvey from a nearby farm who may become our flock sire. Hayley has been actively exploring adding another breed and several more ewes to the mix. Meanwhile our 19 piglets have just been weaned and we are getting the sows ready to be put in with a boar in a couple of weeks. As this summer is full of building projects I has been spending some time sawing timber. We expect to break ground on the house addition in a few weeks and are finalizing the plan for the new barn.